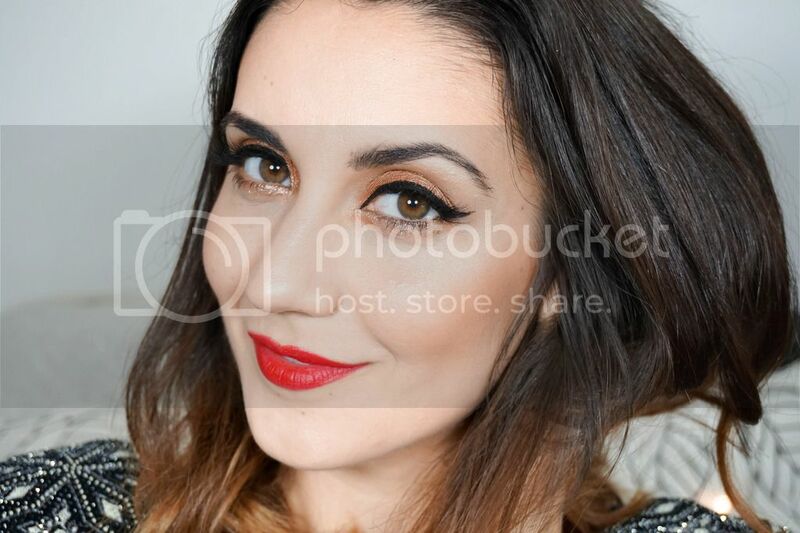 Last week I managed to organise a trip into London city centre with one of my favourite blogging friends Renata from Speaking Beauty UK (if you haven't checked out her blog yet, then what are you waiting for... It's fantastic). I rarely get any toddler free time to myself and I guess you're all aware just how much toddlers love to shop... sense the sarcasm?! So when I knew I would be heading into the city, I definitely knew that I would have to visit the mothership Lush store on Oxford Street. It's been there for quite a good while now, so you might be like yes whatever I'm over it, but I hadn't had the chance to visit it yet and I was very excited. 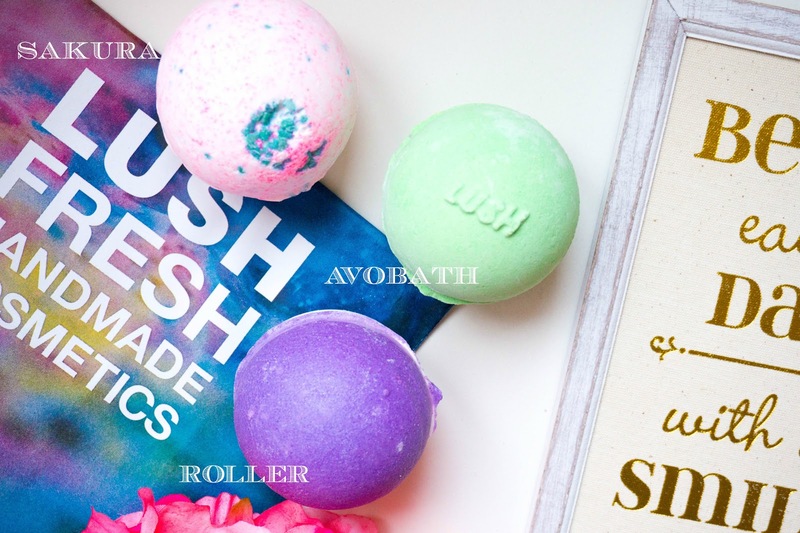 Since putting myself on a bit of a spending ban a while back I decided to steer clear of any Lush stores for that matter, because regardless of how amazing & gorgeous their products are, they are definitely pricey and something which I would consider as a treat. However visiting the Oxford Street store, I just knew I had to give in and treat myself to a bit of bath pampering. I tried to steer clear of all my typical favourite things, as I wanted to discover new products and even try an Oxford Street exclusive... So here's what I picked up. First up we have the Sakura Bath Bomb £3.50, which I just used at the weekend and I absolutely loved the fresh floral scent. 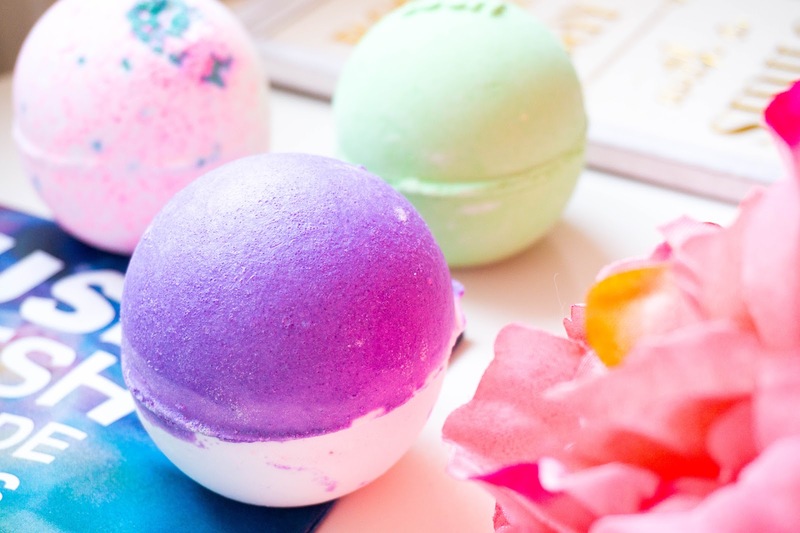 This bath bomb has been inspired by the cherry blossom in Japan and it's designed to evoke optimism for the first signs of spring, which let's face it we all need considering certain parts of the country have been experiencing snow lately. Not only does this have a refreshing & uplifting scent from the lemon oil and orange flower, but it also feels calming from the mimosa and jasmine oils. It gave my bath a lovely light pink colour and it felt so relaxing overall. It definitely feels like a more 'grown up' kind of bath bomb, since it's quite simple with no crazy colours fizzing away, glitter or anything like that. Then it's onto Avobath Bomb £3.50, which is my absolute favourite scent of them all. The lemongrass notes come through the most for me and it reminds me of my trip to Thailand a few years back, so that's always a thumbs up in my books. I haven't used this yet but from what I have read online it's considered as a cleansing pick me up from the bergamot and lemongrass oils, but it's also super hydrating from the fresh avocado & extra virgin olive oil. Anything that claims to be moisturising is a good thing in my book as you might know by now just how lazy I am when it comes to using body lotion. I actually didn't notice this by looking at the bath bomb, but apparently it also contains lustre which give a shimmering green effect to the bath water whilst leaving your skin with a slight shimmer without the dazzle, so I'm pretty excited about that. Last up I've got an Oxfod Street exclusive in the form of Roller Bath Bomb £3.95 and I was told it pretty much sells out like hot cakes. As soon as they get a fresh batch in, it's usually gone by the end of the day. 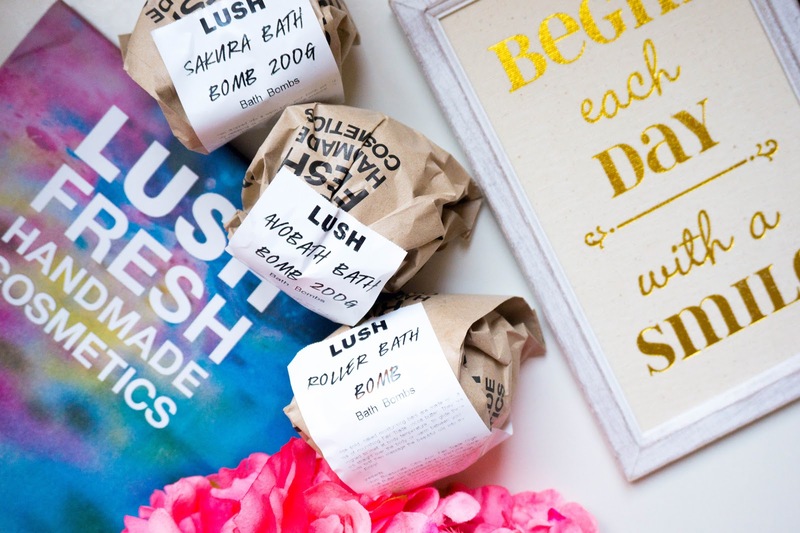 Seeing as I stumbled into Lush quite early on in the day, I was definitely lucky to get my hands on it and I simply can't wait to use it up on my next evening of pampering. From what I was described in store this is a half bath bomb and half bath melt, basically the purple part feels super buttery and it melts into a nourishing oil as it dissolves in the bath. I was also told that the scent is very similar to the Yummy Mummy shower gel, which I haven't tried but definitely sniffed in store and loved. Overall it's a super fruity bath bomb and the berry essences along with vanilla notes stand out to me the most just from sniffing it. I can't find this online since it's a store exclusive but I have been told that it contains tonka, orange oil and cocoa butter, whilst turning the bath water into a moisturising purple tinted colour (definitely excited to be using this soon). I couldn't have been happier with my visit to the Lush Oxford Street store, the staff were super attentive and explained everything we were curious about in great detail, even gave us demonstrations. I'm definitely eager to go back again soon and don't want to leave it so long before my next Lush visit. I'm mostly curious to try out the solid shampoos next and maybe some skincare products too. 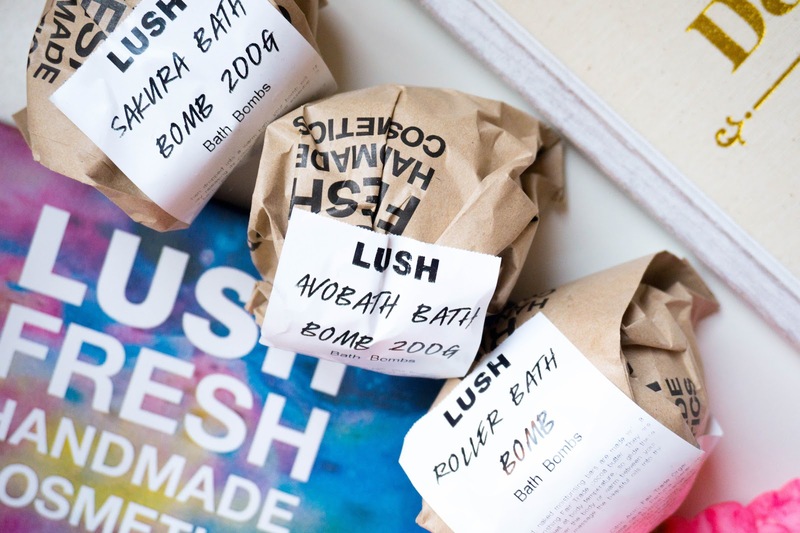 If you have any recommendations I would love to know so leave me your thoughts on the comments below... Have you visited the amazing Lush store on Oxford Street? Did it leave an impression on you?